Businesses throughout the metropolitan Baltimore area depend on Hammer Automotive for competitive service and a command of mechanics. Hammer Automotive gets things done, and gets them done right. 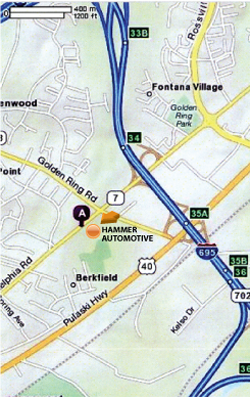 You can rest assured that Hammer Automotive will meet all specifications and do your repairs in a cost wise fashion. Hammer Automotive is also about Exotics! We're not just about big trucks. 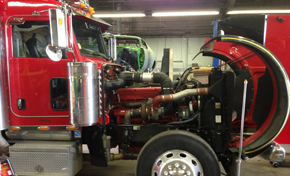 We work on heavy equipment, trucks and the finest exotic automobiles with the same precision. Owner Ken Hammer began his career working on exotic automobiles - and you know experience counts. Your ride is important to you! Hammer Automotive can make sure your ride is fast and safe! Certified gasoline and deisel mechanics who know how to do the job right! Certified Master Mechanics at Hammer AutomotiveYou'll save time and money with each visit. 6.0 liter Powerstroke, broken injector. This is the type of thing we see a lot of. 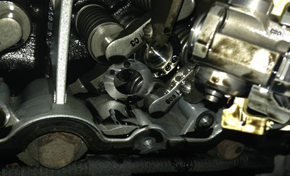 Even the best built engines can fail, and metal fatigue is a big problem for auto and truck manufacturers. This motor was built by JB's auto, going in a rail road car. 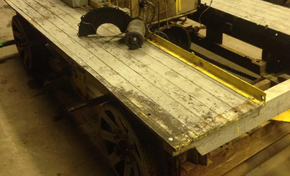 Photos of the railroad car are shown, continue clicking the right arrow. 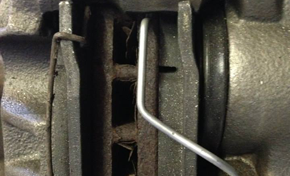 If your engine or transmission needs replacing, we can do the job. 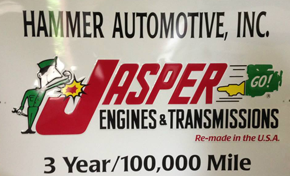 Jasper engines and transmissions are guaranteed NATIONWIDE 3 years/100,000 miles. 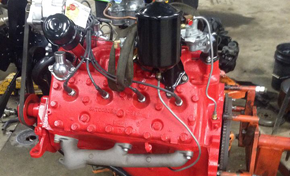 where the 1947 Ford Flathead Engine is being installed by Hammer Automotive. Seldom is a job too large or two small for our experienced crew. During Inspections, we find mistakes made by other mechanics like this improperly installed brake pad all the time. Not much stopping power here. Have confidence in the fact that Hammer Automotive is trusted by major companies to repair their large trucks, and smaller vehicles.